The food photo: we’ve all seen them parading down our news feeds, making mouths water and stomachs growl. We tend to share these posts because eating is a communal thing, and what bigger community to share with than the world of social media? A report from Omnicore shows that there are currently 700 million active Instagram accounts, and 400 million active daily users. That’s a whole lot of audience to get in front of. 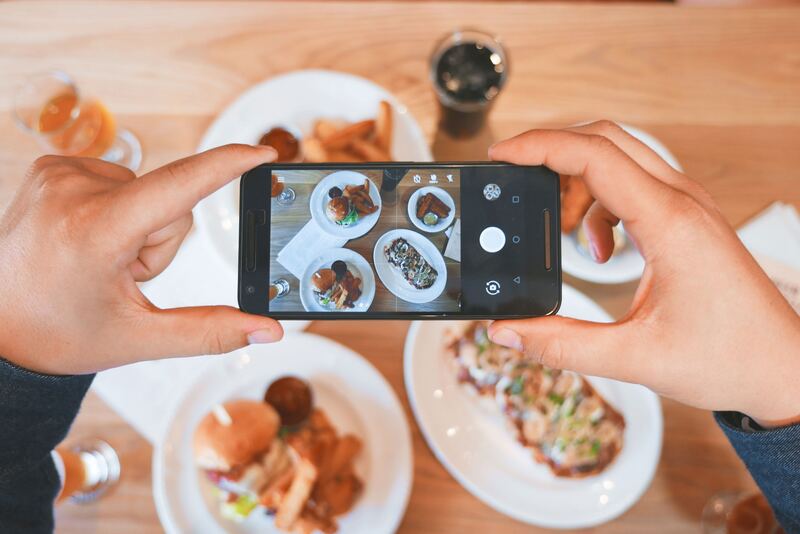 In addition to selfies and sunsets, pictures of food are among the most popular focal points for users. Need more proof? 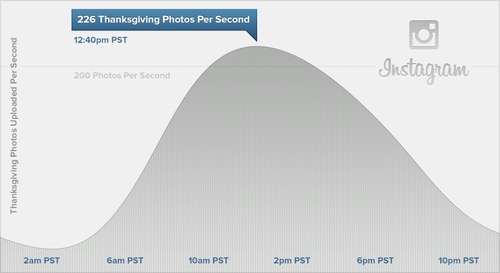 Instagram’s busiest day is Thanksgiving. And the most popular food photographed is pizza. It’s no surprise that restaurants, food trucks, bakeries, and delis are using social media to boost brand awareness. Each photo a customer posts is a marketing opportunity. While hashtags and geotagging help, you can’t always rely on the customers to divulge just where that gourmet donut came from. As a business owner you really want customers to share that info with followers. According to a study conducted by Social Chorus of 400 millennials surveyed, 98% of them said that they are more likely to engage with a post from a friend rather than a brand’s post. Those are the same millennials that will have more buying power than other generations by 2017. That’s what makes custom sandwich wraps and basket liners so significant. Consider a photo of your restaurant’s most popular menu item. Now picture it resting on custom tissue paper that boasts your company’s logo. 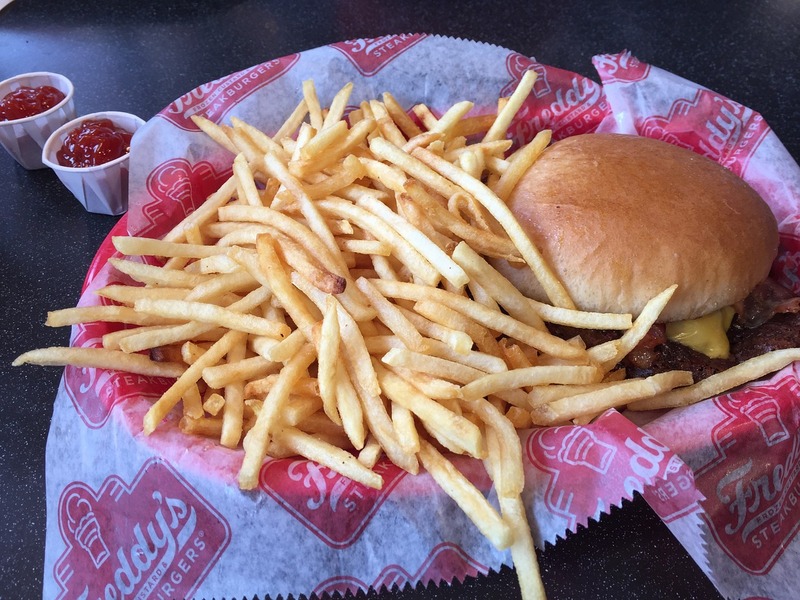 Sometimes the most successful marketing comes from one happy customer snapping a shot of her favorite meal. Lightweight – Also known as pick-up tissue, it’s often used when grabbing a pastry for a customer. These are somewhat translucent because they’re thinner (roughly 13# basis weight) and, if you hadn’t guessed by the name, rather light. They are the delicate baby of the tissue family. They’re lightly waxed, thinner sheets used for cold, dry foods or to wrap a hot dog. High Performance – Next up is a heavier weight sheet that clocks in as an 18# basis weight sheet that can handle lots of jobs. They’re great as a tray liner when serving moist, cold or hot and somewhat greasy foods. Or use them with a BioPak or a disposable lunch boxes as a way to spice up the out-of-box experience for your customer. Ultra Performance – This one is tougher, weighing in at 20# basis weight and has a dry waxed finish on one side. Reach for this one when you want a heavyweight compostable dry waxed sheet that can stand up to even the messiest meatball sub or Philly cheesesteak. Grease Resistant – The name says it all, and the paper is heavier, at about 20.5# basis weight and treated to be grease resistant, no wax is used. These sheets are intended for wrapping food, like sandwiches or subs with the printed logo facing outward. If you’re thinking it’s time to up the ante on your brand marketing, consider the power of customized tissue or one of our stock print designs. Or even just a solid color waxed tissue to spice up your culinary creations. If you want to learn more about the various paper weight options, or if you want to chat further about how this style of branding, give us a call at 888-321-2248.